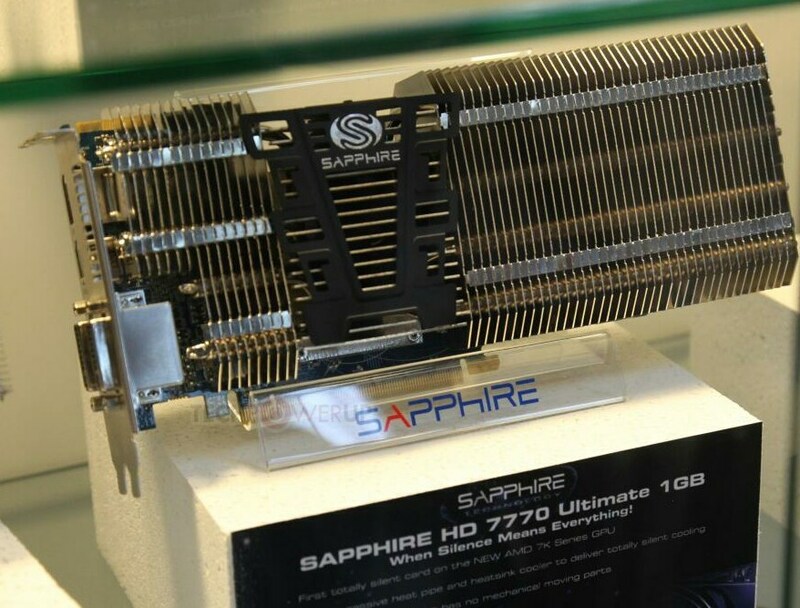 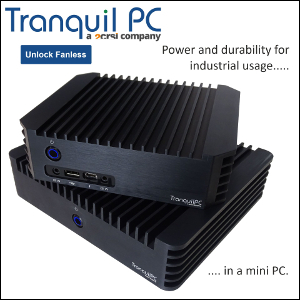 Sapphire showcases the first passively cooled HD 7770 card at Computex Tapei. 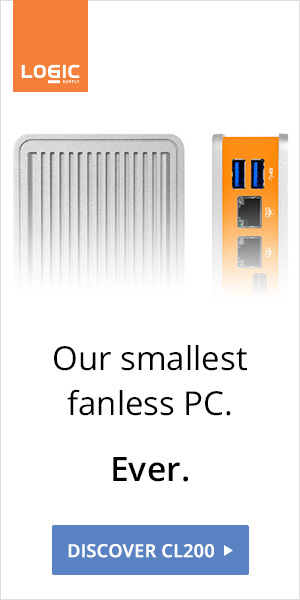 The GPU runs at 1GHz and the 1GB of GDDR5 memory runs at 1125 MHz. 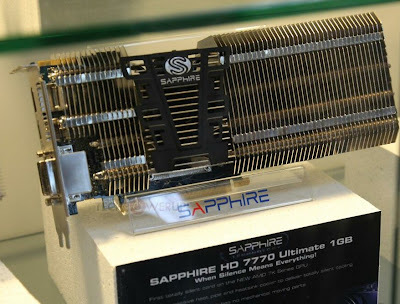 The Cape Verde card features 640 stream processors, 1.28 Teraflops of compute power, and 1.5 billion transistors.